Baby Neptune Ocean Orchestra Musical Toy is rated 5.0 out of 5 by 6. Dimension (in) 8.5" x 10.5" x 5.5"
Rated 5 out of 5 by Mommys Honest Reviews from Must have for those learning to sit I first bought this toy years ago for my kiddo who started playing with it at 5mos and continued playing with it up until she was 3yrs. Perfect size for those just learning to sit up on their own. We still have our turtle which my 6mos old nephew now plays with. 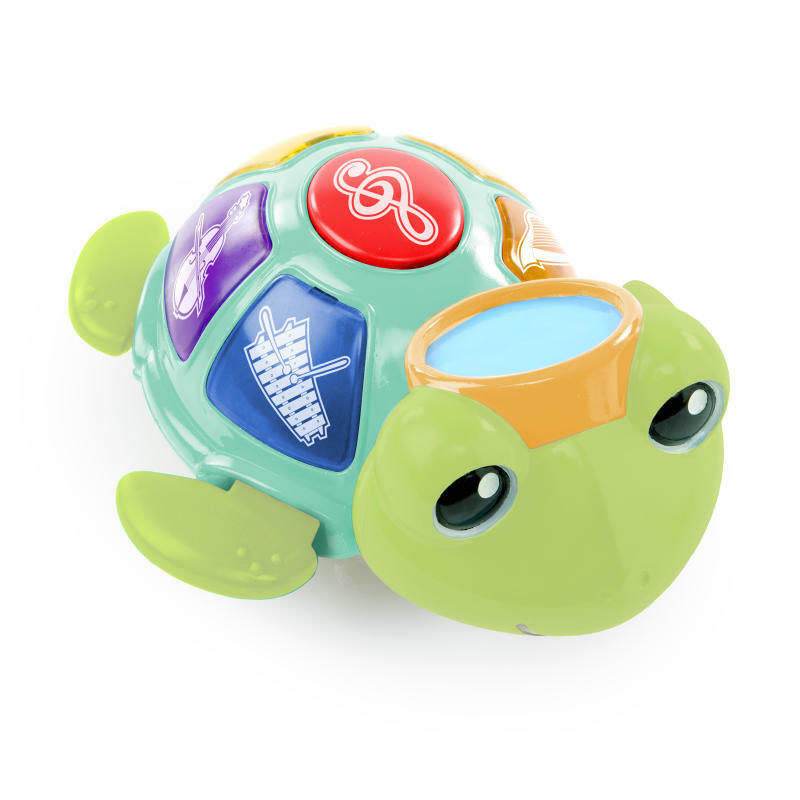 I also buy this turtle toy as gifts for new mommies. Rated 5 out of 5 by Chrystal from little man favorite toy my baby boy got this for Christmas last year and he loves it. Especially the lights. I've also used it to help him fall asleep at night. Baby Einstein has some great products and is one of my many favorite brands. Rated 5 out of 5 by Georgiagal33 from One of our favorites! We love this toy! First- it plays only one song at a time and finishes that song even when my daughter bangs all of the keys, so the annoyance level is low. Second, it's good quality, holds up at abuse from daily play and is adorable! We have had this maybe 3 months and have not had to change batteries.